I'm back to work this week :( as much as I complain it is nice to be back into routine and actually know what day of the week it is! So for this miserable first week in January, Jayne from @starryeyed83 and myself came up with some bright twin nails. 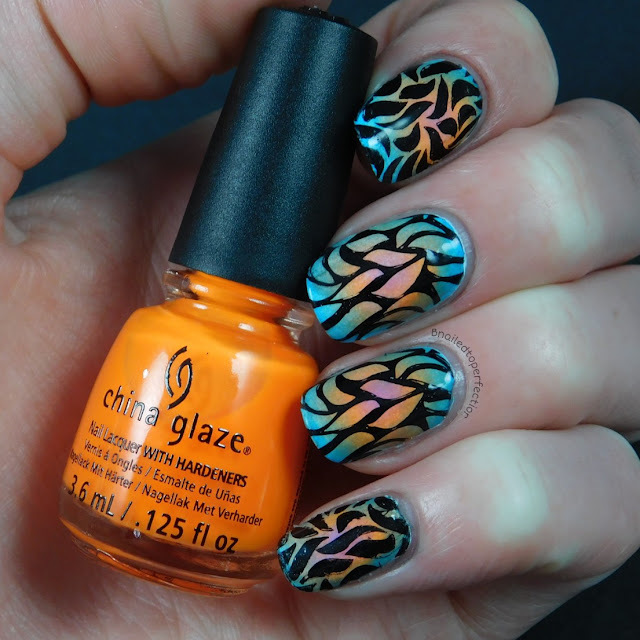 We went for a neon radial gradient with stamping from Uber chic. We chose purple, orange and blue for our radial. 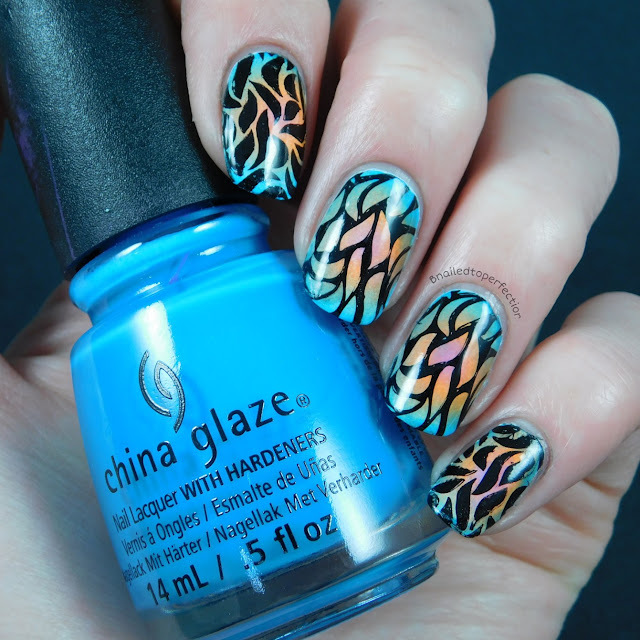 All three polishes I used were from China glaze. The purple is Plur-ple. I picked up a cute mini neon set in the Christmas sales at Sally's and used this orange from it which is super bright! This is Orange Knockout. The last part of the gradient was DJ Blue my Mind. 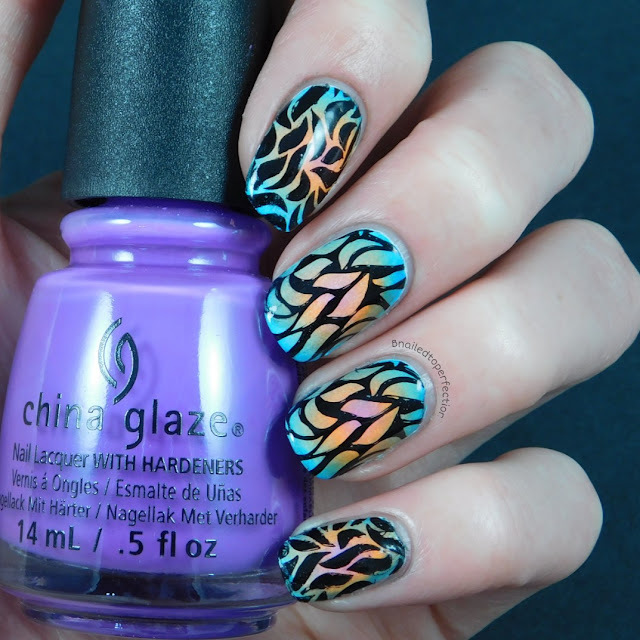 We stamped using Uber Chic plate 6-02 and I used Pinguno from Esmaltes Da Kelly. The image we decided to use is like one big image but half of it is one way and the other half is a reversed image of itself which we thought was pretty cool. 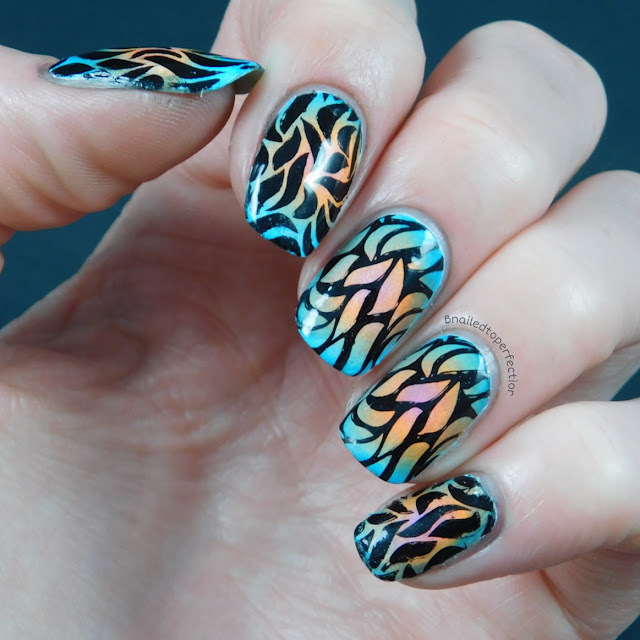 This was Jayne's mani! How cool is it?! The orange and blue have mixed together to make green! I did say that for 2016 I wanted to try new things and this is the first radial gradient I've done! It could be neater and the black stamping polish was being a PITA to clean up, even thought I used latex too! So what do you think of our twin nails? Did they brighten up your day?